Alex Beaton’s impressive musical career spans four decades and includes the creation of Glenfinnan Music, which offers a collection of twenty-one albums dedicated to traditional Scottish music and a triple feature DVD, Alex Beaton’s Scotland: A Musical Travelogue of Scotland. 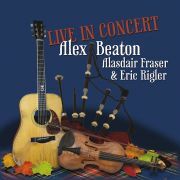 The 2013 release of Alex Beaton’s “Live In Concert” CD is the latest offering from North America’s most popular and beloved Scottish folksinger. During a performance, Alex may share some fascinating bit of Scottish history to bring the music to life, or he may sarcastically acknowledge the audience’s obvious appreciation of good music as they burst out in laughter when he sings a selection from his album Daft Ditties. His quick wit and passion for his audiences have endeared him to both young and old alike. Alex is not only gracious enough to share his stage with other performers at the Scottish festivals,” says Dudley Brian Smith of Smithfield Fair, a Celtic group from Baton Rouge, Louisiana, “he is the reason we get to be at the festivals. He is the trailblazer. 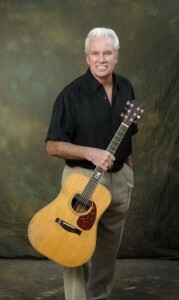 Already a successful entertainer in the 1970s, Alex recognized a desire among American audiences for traditional Celtic music. He knew that the natural outlet for his music was the Highland Games that take place nearly every weekend of the year all across the continent. After organizing Glenfinnan Music, he began focusing on establishing a market for the traditional singer in a venue long dominated by heavy athletics, pipers, and pipe bands. Now, due in large part to Alex’s efforts, the folksinger is there along with the athlete and the piper. Alex’s musical talents, awareness of Scottish history, and his ability to connect with his audience combine to create the Alex Beaton experience rather than just a concert. If you get the opportunity to attend one of my performances around the country, please come by and say hello. I would love to meet you in person. Whether you make it to a concert or not, you can, as he likes to say, “take him home with you” by picking up some of his many CDs or DVDs.